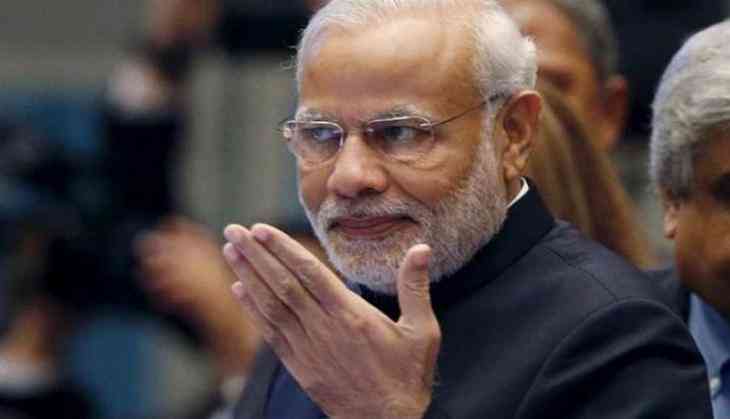 The Bharatiya Janata Party (BJP) on 6 November hailed Prime Minister Narendra Modi's scathing attack against the Congress stating that the AICC (All India Congress Committee) actually stood for 'All India Corrupt Congress'. Speaking to ANI, BJP spokesperson G.V.L. Narasimha Rao said, "The Congress is synonymous with corruption and it's known to everyone in the country. The AICC actually stands for 'All India Corrupt Congress,' because if you look at the history of the grand old party, every government which they headed was riddled with some major scams. The Congress has an illustrious history of the most famous corruption scandals this country has ever experienced." Another BJP leader Prabhat Jha said Prime Minister Modi's allegations were not wrong. "Whenever the corrupt Congress speaks of 'Corruption,' it seems they are making a fool out of themselves. Prime Minister Modi's speech was apt and clear; his allegations against the Congress were not wrong and they totally deserve it. We have the proofs of all their corruption scams," he said. Yesterday, while addressing a public rally in Himachal Pradesh, Prime Minister Modi had said, "The Congress and corruption are inseparable. For 70 years, the Congress ruled the country, but they were only involved in corruption, spreading lies, casteism and nepotism. Corruption was not a major disease 70 years back. So who is responsible for corruption? Who brought communal, caste and social disharmony in India? It is the Congress. Don't you think the party needs to be taught a lesson?" He further said that for the Congress, their party's interest is more important than the nation. At another rally during the day, Prime Minister reiterated, "Corruption is the only identity of the Congress. The Himachal Pradesh chief minister from the Congress is known for corruption."